Hitachi is one of the leading brands in the world. At present, it is also quite well known to Bangladesh. Hitachi Air Conditioner (AC) comes with different outstanding features and it also ensures the pragmatic result. If you are interested to take AC, you should have knowledge about the Hitachi. The innovative out looking also enhances the décor of your room. 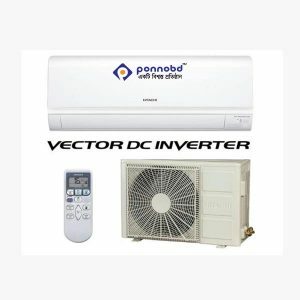 Ponnobd.com offers 100% authentic products from different brands like LG, Pentanik, Midea, General, Gree, Hitachi, Conion, Sharp, Whirlpool, Walton, and other brands. Hitachi is outstanding with its cooling power. With its effectiveness, it is unparallel. It provides instant cooling. Because of using direct efficient technology, it is quite fast for maintaining desired refrigerant flow. It also ensures the desired temperature. Hitachi is famous for its built-in quality. Both external and internal part of the Hitachi Ac is quite impressive. The Hitachi uses a copper tube instead of an aluminum tube. 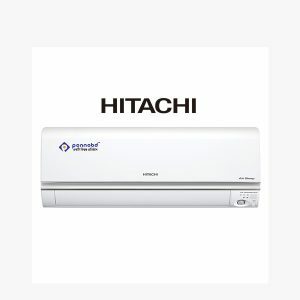 Most of the features of Hitachi are outstanding compared to other AC. An auto clean function is one of the unique features of the Hitachi. It removes the gathered dust from the AC filter. The built-in cleaning unit removes dust automatically. The auto clean function has a lot of good aspects. It removes the unpleasant odor. The auto clean function lets the user enjoy the fresh air. The feature helps to keep the environment weather humid free. BY reducing the humidity, it keeps the temperature level quite fit. This feature is hardly noticed in the other AC. The auto humid control makes the Hitachi extra-ordinary. The auto climate technology is another important feature of the Hitachi AC. The auto climate technology adjusts the temperature of the environment. AC automatically changes its setting based on the temperature of the environment. The AC of another brand has this rare feature. Hitachi AC is famous for its special features. The shape and size of it are also impressive. Among lots of features, the following features are exceptional and noticeable. It is the special features of AC which provide the opportunities to run the air conditioning unit efficiently and economically. The fan motors of the outdoor and indoor unit have been turned in to DC inverter technology. As a result, the compressor adjusts the capacity based on the temperature of the room. 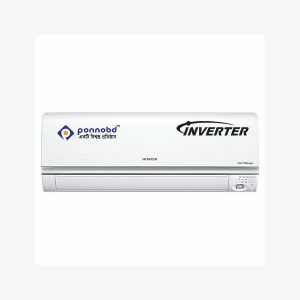 The DC inverter creates the perfect condition in your space. The outstanding aspects are that it lessens the maximum economy. The DC Inverter motor ensures a powerful operating range. It allows the unit to work continuously in different weather condition. It is one of the air refreshing systems. The filter is better than a plasma filter. The exceptional air purification system makes the Hitachi AC outstanding. This Nano titanium Wasabi filter ensures extra hygiene. Because of having this filter system, The Hitachi is preferable from fresher to expert user. Breathing in a home is not always safe. The air is not only Oxygen and carbon dioxide. The air is mixed with impurities and microbes. As Bangladesh is the most populated country and the air is mixed with dust. Every day, we take polluted air inside and the outside of the home. 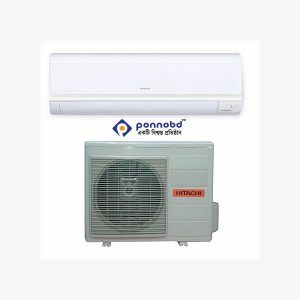 But nowadays, the indoor antibacterial fan is using the Hitachi AC which produces the fresh air. The indoor air pollution creates a dangerous problem. Especially the old and the kids face this chronic illness seriously. Based on the breathing issues, The Hitachi AC has been designed to produce the fresh air in the home. It is one of the most effective features which purify the air. The stillness pre filter normally catches the large particles. The stainless pre- filter filters the debris, dust, and particles. It is used in the AC to filter the air. The sleep mode feature is another important feature of the Hitachi AC. You can set a time to adjust the sleeping condition. Normally, a star icon button of the remote is used to give the sleep mode. Turning on and off based on time is another facility of the Hitachi AC. Just you have to set the time when it will turn on and off. The program will work on the exact time. It gives the user extra facilities. Dehumidifier controls the air. It keeps the level of air balancing. It is also used for absorbing moisture from the air. It keeps the air of home fresh and dust free. The functionalities of dehumidifier are attached to Hitachi AC. The Hitachi ensures the six sense of power saver. Because of the Six sense power saver, the running cost is low and the energy saving is more. The 6 sense controls the room temperature and saves at least 20 % electric bill. Each and every day, we breathe. The air is not always fresh. The anti-bacterial filter makes the air of home fresh and hygienic. So this outstanding feature is quite effective for the user. All the AC of the market does not come with these functionalities. But the Hitachi comes with all other extra-ordinary features included anti Bacteria filter. The Hitachi is outstanding with its features and the functionalities. It is suppressing all the leading brands of Bangladesh. As its functionalities are different than all branding company, the consumer has inclined to the Hitachi. 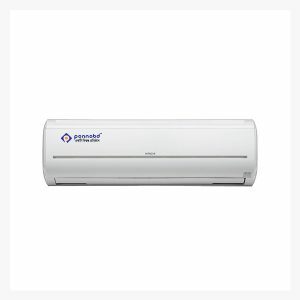 Hitachi is one of the leading air conditioner companies in Bangladesh. It is the most popular brand because of its extraordinary features. The durability of Hitachi AC is more than all other AC in Bangladesh. Besides, its included features are impressive to the consumers. Lately, the number of Hitachi AC user is going up. Overall, their customer support is satisfactory.